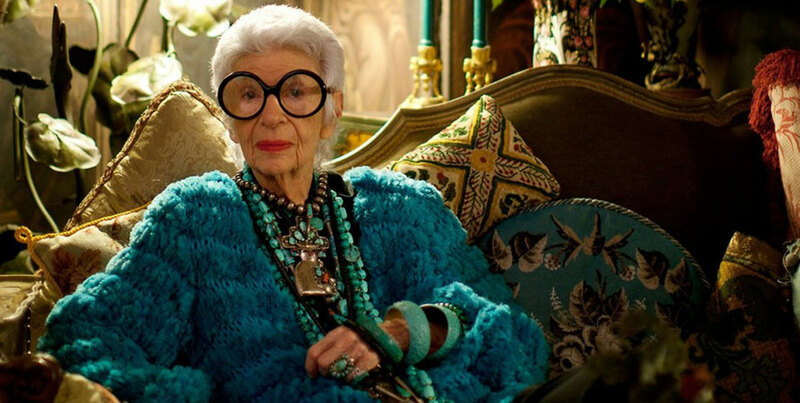 A delightful profile of a 93-year-old fashion icon, Iris is cinema verité pioneer Albert Maysles’ last solo directorial effort and possibly the greatest Zoomer documentary of all time. Look at the stats: the titular Iris Apfel is a nonagenarian married for over 65 years to Carl, whose colourful and emotional 100th birthday party is a doc highlight shot by Maysles, who died at the age of 88 shortly before the film’s release. Or go beyond the stats: if zoomers are oldsters with “zip,” few can ever have been zippier than the funny, brash and opinionated Iris Apfel or her filmmaking friend, the joyful Albert Maysles. Further: Maysles showed that it was possible to direct and shoot docs with style and purpose way beyond his “retirement age” and Iris is credited with creating the senior supermodel concept, which now employs Jessica Lange (Marc Jacobs), Charlotte Rampling (Nars) and even herself for Kate Spade. Wearing wonderfully outrageous clothing adorned with eccentric jewelry, Iris regales Maysles, and the audience, with tales of her life with Carl. She recalls that Frieda Loehmann of the famed Manhattan department store once said to her that she had something more important than good looks: “You have style.” Carl and Iris founded Old World Weavers, a prestigious textile company, which restored antique furniture for the rich and powerful—including many Presidents, starting with Kennedy. Maysles expertly uses Carl’s old camera footage to evoke their many trips to Europe and beyond, where they found exotic textiles, furniture, clothing and jewelry. In New York, they continue to live in a Park Avenue apartment filled beyond the brim with fashionable items they’ve acquired along the way. After selling their business, Iris became famous when the Metropolitan Museum of Art mounted a comprehensive show of her collection in 2005-6. As the show toured across the U.S., Iris’ indefatigable personality and assured style made her a beloved figure in Manhattan’s cultural landscape. (It was also the time when again supermodels became de rigueur.) Maysles’ film captures the effervescent Ms. Apfel at her best—instructing young women about fashion, visiting old friends and recounting favourite anecdotes.